A holistic view in support of our families' progress - the Self-Support Index. 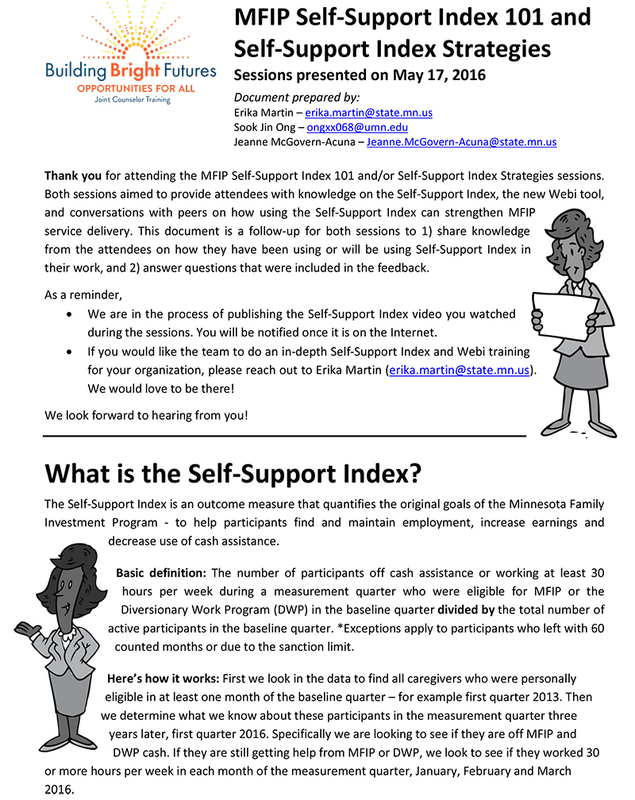 In our partnership with the Minnesota Department of Human Services' MFIP Research & Evaluation team and Policy team, we have created a video about the Self-Support Index, a performance measure for the Minnesota Family Investment Program. At the 2016 Joint Counselors' Training, we co-presented a session on the Self-Support Index and strategies on rethinking MFIP service delivery. A summary of the discussion can be downloaded (click on the image to the left).